Ah, this game. Every so often a game comes along that gets me completely hooked. I'm pulled into it-hook, line and sinker. 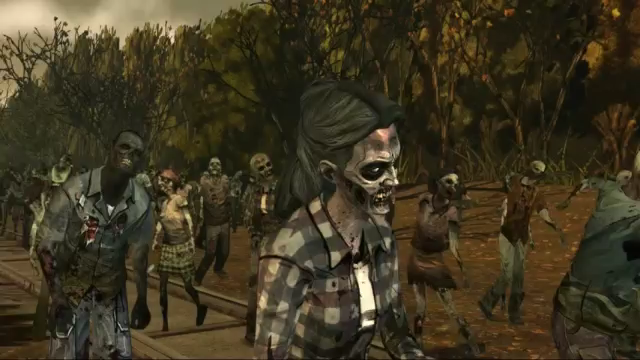 The Walking Dead by Telltale Games definitely did this to me. This point and click action game sees you take on the role of Lee, a convicted criminal who was on his way to being exported to prison at the time of the initial outbreak. After escaping a car crash caused by a walker, Lee starts to realise that his life has changed dramatically-gone is the prospect of donning prison robes and staring at bars-in it's place, Lee must fight to survive against the undead, whilst redeeming himself for his past mistakes as he progresses. On his travels, Lee bumps into Clementine, an eight year old girl who has been surviving by sheltering in her treehouse from the zombies below. Instantly struck by her and noticing her parents are absent, Lee quickly forms a friendship with the little girl, taking on the role of her guardian until she finds her parents in Savannah, who had been on vacation at the time of the outbreak. 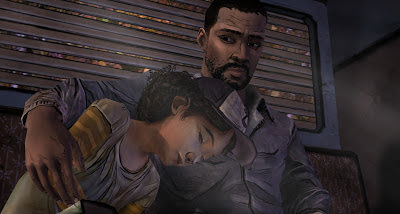 What makes this game work so well is the relationship between Lee and Clem. As the game progresses, you will notice how their relationship has evolved, to the point where we are rooting for both of them to make it through to safety together. Clementine is impossible to dislike-sweet, innocent, and seeing the good in everybody, her idolisation of her saviour, Lee, is easy to love. 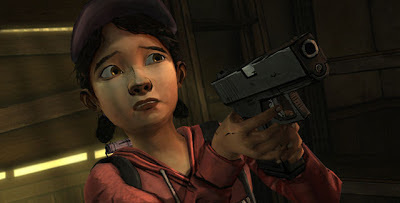 You actually want to do everything you can to save Clementine, perhaps one of the most loveable characters to come out of a video game for a long time. Clementine and Lee's relationship is part of a much wider, complex fight for survival, which the writers have managed to convey so successfully in the story. It's easy to become emotionally invested in the story, the characters you meet and join along the way, and the consequences for the actions you decided to take. The point and click aspect of the game is fantastic-it's great fun exploring each place and interacting with things to see Lee and the other characters reactions. The puzzles are never that complicated-often obstacles can be remedied rather quickly, but nevertheless, they're enjoyable-and satisfying-to complete. However, the choice aspect is probably one of the stongest parts. Throughout the story you will be confronted with decisions which will change the narrative depending on which option you have decided on. Many decisions are incredibly difficult to make, but with often only a split second to pick an option, this game relies heavily on your instinct. Many times you will be sitting there filled with guilt, regretting the option you decided to take, whilst other times you will be rejoicing at how successful the situation has turned out. Being a fan of the comics, I was pleased to notice that the game not only follows the bleak, sometimes darkly funny tone of the comics, but also the style of it too. Characters are designed to look like they've stepped straight out of the pages of Robert Kirkman's excellent series. At the end of each episode, statistics are revealed, showing percentages of players that took either decision each time. Most of the time, these statistics are rather divided, and it is interesting seeing how you compare to fellow players. Without giving away any spoilers, I was amazed at how powerful this game, and it's excellent story was. I am not ashamed to admit that I cried at the ending of episode 5, as I am sure many others did too! I left the game feeling a little devastated, and sat contemplating my choices for some time afterwards. 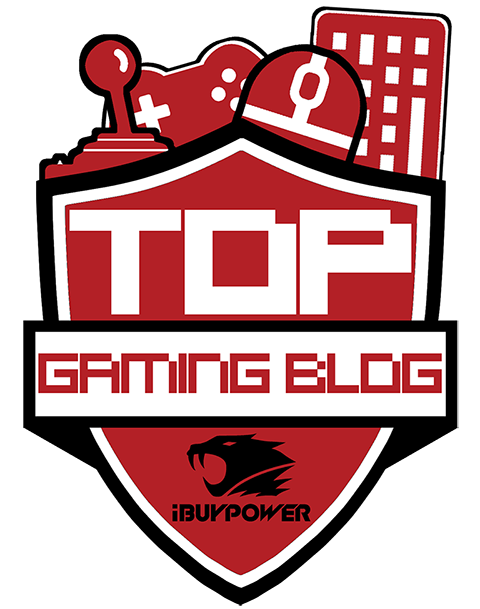 This is what made this one of the most talked about games of 2012-it sticks with you long after. 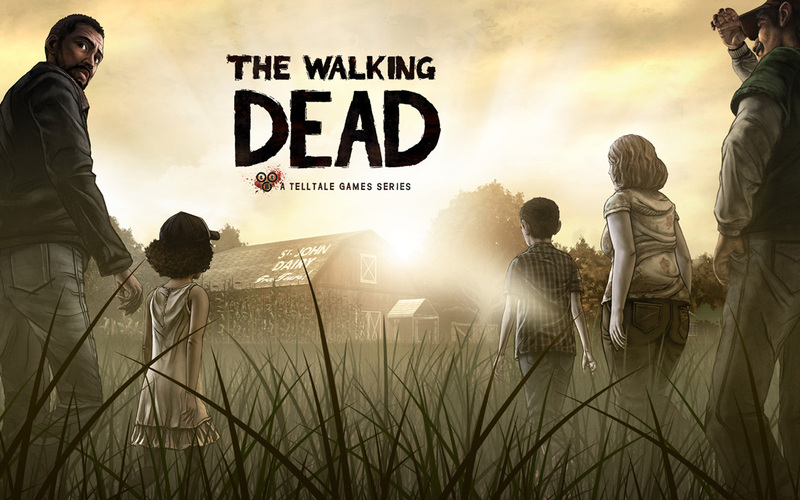 So congratulations The Walking Dead and Telltale Games for winning 2012's Game of the Year, it's well deserved. Now, please bring on Series 2!